This post is the third in a series of three related to the issue of Chinese students and scholars returning successfully after their time abroad. Spoiler alert: This is an important issue that affects the way you do ministry among Chinese (so listen up!). Shameless plug: Our Returnee Roundtable is designed to address the very issues at the heart of these posts. 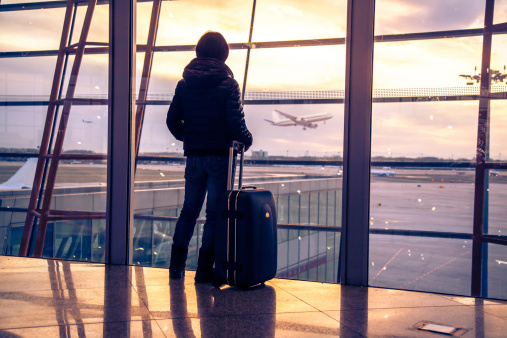 In our first two posts, we’ve looked at some of the obstacles facing returnees, as well as some preliminary steps toward addressing those obstacles. This third and final post in the series will center on the importance of the church, particularly as it relates to returnees. In my opinion, the church is perhaps the key issue that (from a human perspective) will determine whether our friends who return to China will continue to grow in their faith and live out their calling for God’s glory. Practically, maybe it’s as simple as the church being the support, fellowship, and encouragement that is necessary to swim upstream when everyone else is rushing in the opposite direction amidst the rapid current of the culture. But there are a few theological foundations that undergird this reality that I think are worth exploring. I hope these will provide a fuller picture of why exactly our friends (and we ourselves) need the church. Historically, the Reformed tradition has identified the word (particularly as it is preached), prayer, and the sacraments as the ordinary means of grace. That is, they are the ordinary means that God uses by his Spirit to communicate grace to us, working faith in our hearts to trust Christ more fully and strengthening our will increasingly to turn from sin and self to God. Christ himself instructs that all that he has commanded is to be taught to those who would become his disciples (Mt 28:18-20). We often think about the Great Commission as a mandate for our duty as individual Christians, which isn’t inappropriate, but also doesn’t capture the whole context. Notice that part of making disciples is baptizing them in the triune name — something that we would typically recognize as the province of the local church — and that the injunction to teach all that Christ commands comes in the very same breath as baptism. Similarly, we see Paul commanding Timothy to devote himself “to the public reading of Scripture, to exhortation, to teaching” (1 Tim 4:13) in the church at Ephesus. And again in 2 Tim 4:2, Paul enjoins Timothy to “preach the word; be ready in season and out of season; reprove, rebuke, and exhort, with complete patience and teaching.” The faithful preaching of the word brings the truths of gospel to bear on the specific situations of our lives, calling us to faith, repentance, and new obedience. Paul also urges Timothy, in his capacity in the church at Ephesus, that “supplications, prayers, intercessions, and thanksgivings be made for all people, for kings and all who are in high positions, that we may lead a peaceful and quiet life, godly and dignified in every way” (1 Tim 2:1-2). And the sacraments — baptism (Mt 28:19) and the Lord’s supper (1 Cor 11:23-26) — are also to be administered within the church as signs and seals of God’s grace in Christ. The point here is to highlight the way the word, prayer, and the sacraments function within the church as the ordinary way that God causes us to grow in grace. This isn’t to say that individual Bible reading and prayer outside the church are unimportant or less important than we normally think; rather, it is to say that the faithful preaching of the word and corporate prayer in the context of the local church are more important than we normally think — crucial means that God uses for our sanctification, and models that we imitate in our private Bible reading and prayer. To these three means of grace, some theologians would add a fourth: fellowship. As the body of Christ, the church is to speak the truth in love, each member using their gifts for the edification of the whole (Eph 4:11-16). What all does this have to do with Chinese returnees? Church is vitally important for the spiritual growth in grace of all believers, Chinese being no exception. With our friends here, we do them a grave disservice if we do not help them get involved in a church where they partake of these means of grace, and grow in the context of a body of believers. We need to teach them that church isn’t just an optional extra, but is our lifeblood. As much as we’re able, we need to cultivate in them a love for the local church, and a commitment to it. The fact of the matter is that it’ll never be easier, more convenient, or more comfortable to be involved in the church in China than it will be here. If they’re not committed here, then we can be relatively certain that they won’t suddenly commit once they’re there, which brings us to the next point. Throughout Scripture, we see God binding himself in faithfulness to his people through covenant. He promises time and again that he will be their God and they will be his people. By analogy, Scripture depicts this covenant relationship like another: marriage. In both the OT and the NT, we see bridal imagery used of the people of God. The relationship between Christ and the church is the foundational reality that marriage typifies. At one point where Paul is talking about marriage, he launches into the husband and wife becoming one flesh and gets so carried away that he summarily declares, “This mystery is profound, and I am saying that it refers to Christ and the church” (Eph 5:32). Just as husbands and wives make covenant promises to one another, and more foundationally, as God makes covenant promises to us, so we are to make covenant promises to him through the church. When we join a church, as in a wedding ceremony, we make public vows to God and his church. For a variety of reasons, we 21st century westerners tend to deemphasize membership and the covenant vows that we make in it, thinking that being committed is really what matters more. There’s a ring of truth to that type of idea. But if we stick with the marriage analogy, saying that formal membership doesn’t really matter as long as you’re committed to the church is like saying that marriage doesn’t actually matter as long as you love each other. The problem is that, without marriage or membership, once the feelings change there’s no commitment to keep you from going your separate ways. Marriage vows are a way of binding yourself to another in a public and legal way, by which you promise to them that, no matter what happens, no matter how your feelings may ebb and flow, you are committed to them. Membership in the church is much the same. You commit yourself to the peace and purity of the church, and to its work and welfare. You promise to submit to your elders. And the church in turn promises to care for you spiritually. In China, most house churches, don’t practice formal church membership, so the reality is that they may not be able to become members of a church once they return. But my point here is that by helping them see the importance of membership and commitment to the church here, we can help shape their attitudes toward the church in the future when they return. If your Chinese Christian friend were in a serious relationship with another person and told you that they weren’t going to get married because they loved each other (and that was really what mattered), my guess is you’d work really hard to try to persuade them to get married. Why then don’t we work equally hard to teach our friends a proper view of church membership and help them commit to a church? Regardless of the practice of church membership among house churches, we can help cultivate an attitude that will help them set a trajectory of commitment to the church that can continue in China. Lastly, just as children need parents who wield authority correctly in order to help them grow and mature, Christians too need those in authority over them in order to help them grow and mature spiritually. Nowadays, we tend to be suspicious of authority, but as a child without any authority in his life will likely grow up to have a host of problems, so too will those who try to grow up spiritually without any spiritual authority in their lives. Hebrews 13:17 says: “Obey your leaders and submit to them, for they are keeping watch over your souls, as those who will have to give an account.” Who are these leaders to whom we’re to submit? They’re the leaders in the church of which we’re members. We have made vows to submit to them. In fact, in Presbyterian and Congregational churches, we’ve even elected them as those who are to exercise oversight over us. And they have committed to shepherd and oversee us. As the verse above says, they will have to give account to God for how they cared for you and watched over your soul! God made us to be under his authority, and Christ appointed elders in the church to mediate his authority and so exercise oversight. Without such oversight, we’re literally left to our own devices. Here I want to touch briefly on church discipline. A central purpose of church discipline is the reclaiming and keeping of wayward sinners. Church discipline isn’t fundamentally punitive; it’s intended toward restoration. In other words, when sin has so blinded you that you can’t even see what’s right and wrong anymore, church discipline is a way of the elders of the church coming in love and trying to help bring you back to your senses. Not to do anything is not loving. As parents, we discipline our children when they stray to help teach them and keep them from continuing to stray. A parent who doesn’t discipline their child may say that they love them, but is it really loving not to correct your child when he or she is straying morally? As a parent, I can’t imagine my child sinning grievously and my not wanting to help them return to faith and repentance. Church discipline is just that. Even when the discipline is excommunication, the point isn’t simply to leave the sinner alone; it’s declaring in the most solemn way possible that by his stubborn refusal to repent and his contumacious persistence in sin, he is living a life that (as best the church can tell) gives no evidence of salvation. And by “delivering him to Satan” (1 Cor 5:5a), the church is trusting that God can use the full outworking of the sinner’s disobedience to bring him ultimately to repentance, in order that “his spirit may be saved” (1 Cor 5:5b). Here again, the point is that our Chinese friends need to grasp their own need to be under spiritual authority. Lacking such authority and guidance, we’re setting our friends up to fail in their faith. Even if house churches in China don’t typically practice formal membership, they do ordinarily have a functional equivalent. It may not be as neat and clean, and it may muddy the water when it comes to the question of discipline (how do you discipline someone who was never a member? ), but there’s still typically a strong sense of authority in the life and practice of such house churches. In a way, I suppose that at the heart of this post is the thought that we really need to help our friends develop a love, a commitment, a vision, and a heart for the church while they’re here. These things will stand them in good stead to enter into the church in China, both as members and as potential leaders. And being actively connected to the body of Christ in the local church, they will be in a much better position to thrive spiritually after their return.